This Maximillian Helm is characterized by the fluted visor, popularized during the reign of the Emperor Maximilian (1494-1519), this style of armet remained in vogue until the mid-16th Century. The visor hinges up and the side plates hinge out for access. 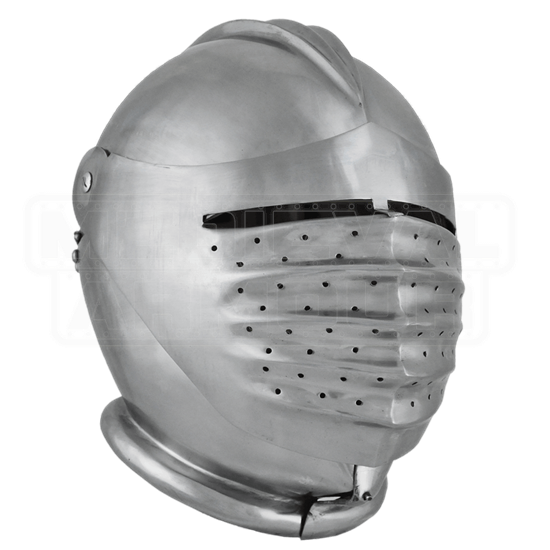 Our Maximillian Helm is crafted in 16 gauge steel, lined and ready for use.